Man of the moment John Talabot is back with Pional on this new track 'Brave'. I can't get enough of this sound at the moment. To top things off its offered as a free download! WE ARE 6! ~ NOV 30TH ~ SAVE THE DATE! 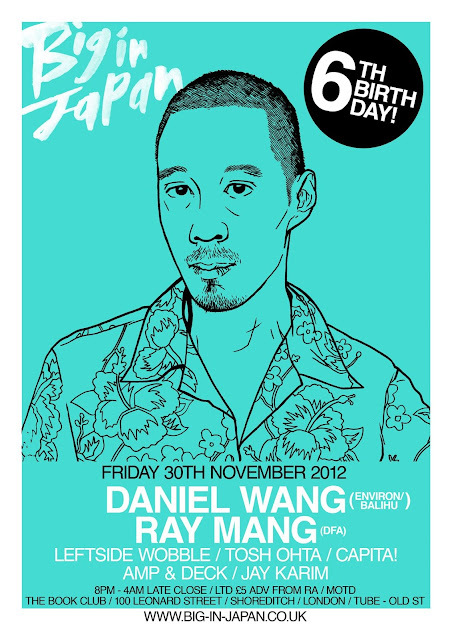 SAVE THE DATE ~ FRIDAY 30TH NOVEMBER! ~ IT'S GONNA BE A BIGGY! Six years and we’re still at it! Big in Japan celebrates with a special disco version that is likely to shake the Book Club basement with loose joints, air bass and a whole lot of love. We’re super excited to have a special guest set from Berlin based Daniel Wang with support from friend and fellow disco don Ray Mang - something tells me with their forces combined, we’re in for a treat! Resident honcho Leftside Wobble will be whipping the dance floor into shape in the warm up with friends of the family Tosh Ohta, Kev Kev & Joe Lye dotting the i’s and crossing the T’s! With some added lighting, bespoke installation, confetti cannons & balloons we hope you can dance it out with us on the floor. Beginning as a art student alternative party to the mind numbingly awful scene that was the staple in Bournemouth at the time, Big in Japan set out its aim to offer some quality and fun back to the kids down on the south coast on a weekly thursday night. Six hundred plus would pack the venue regularly which saw guest DJsets from the likes of Erol Alkan, Totally Enormous Extinct Dinosaurs, The Shoes, Casper C, We Have Band, Filthy Dukes & Skull Juice play alongside regular tastemakers such as a young Dan Avery aka Stopmakingme, Tosh Ohta, Zoo Look, Katie Dane, Hello Mozart and many others who added their musical offerings to a loyal crowd who were always up for partying hard into the early hours. Reglar exhibitions of work, themed events and general mayhem was brought to the party by hostesses with the mostesses The Plastic Hearts which gave the night its unique homegrown eccentricity! Whilst BIJ continued to ruin students art degrees in Bournemouth town organiser Dan Spinney took the party up to the big smoke and started causing a scene at a new venue which was really building a great reputation for new music and immense bookings - The Amersham Arms in New Cross. There the party played hosts to events with such guests as Yacht (DFA), Metronomy, Har Mar Superstar, PNAU, The Teenagers, Fenech Solar, Mystery Jets and many more. 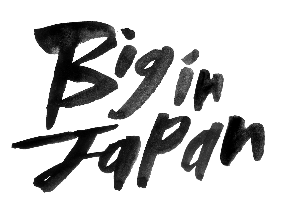 In 2009 Big in Japan moved to East London and set up home in a Shoreditch basement on a monthly last friday which is where it continues to party with a more Disco, House led sound but has never forgotten its roots in rebellious fun, creative flair and a good ear for a great track! Recent guests include: Greg Wilson, Psychemagik, Todd Terje, JD Twitch of Optimo, Odyssey live, Bill Brewster, PBR Streetgang, Dan Avery, Jim Stanton of HMD, Ben Pistor of Disco Bloodbath, Sean Johnston (Hardway/ALFOS) and there is plenty more on the way as we hit the 6th Birthday of our little club night. As well as the monthly residency Big In Japan has hosted and featured in rooms and tents at Fabric, Bestival, Secret Garden Party, Glastonbury, Radio 1 - Hackney Weekender as well as internationally for Hove festival in Norway, Garden festival in Croatia, Diesel store opening in Oslo and a few more that we're a little hazy on! gotta find me a copy of this! Rich from SoundServices said we might be into this.. He wasn't wrong! Caribou's Dan Snaith aka Daphni plays Boiler Room tonight alongside Four Tet and Nathan Fake live - not a bad line up eh?!! October special guest Sophie Lloyd is offering up her remix of The Whip's track Movement. Go get some! All over this today! New from Leo Zero - It's a WINNER! Previous Big in Japan guest DJ and Mercury nominated Jessie Ware is remixed here by Joe Goddard of Hot Chip / Two Bears - Its working for us! Fingers crossed for Jessie on winning that Mercury.